Trains were useful for travelling longer distances. Once they reached the town or city, many people used trams to travel along the main streets and roads. A lot of trains were steam powered though some operators were beginning to change to electric. The steam trains were powered by keeping a fire burning in the engine for the whole journey. The man who shovelled the coal was called a fireman. It was hot and tiring work. Some trains in the early 1900s had trouble travelling up steep hills. The conductor would walk beside the rear wheel of the train with a wooden wedge in hand. This was to stop the train if ever it slipped back while climbing the hill. A corridor ran along one side of the train with compartments opening off it for people to sit in. Each compartment had two long benches facing each other with room for up to eight people. A window, fastened with a leather strap, could be opened or closed so people could lower them at stations to say goodbye to their friends on the platform. Britain's train network was very important. Railway tracks covered large parts of the country, so even small villages were often quite close to a train station. This meant it was possible for people to travel almost anywhere in Britain by train. Passengers could slide down train windows with a leather strap. Many children took turns to lean out of the window to look at the countryside or to listen to the train's whistle. Children who did this often ended up with sooty faces because of the train's dirty smoke! 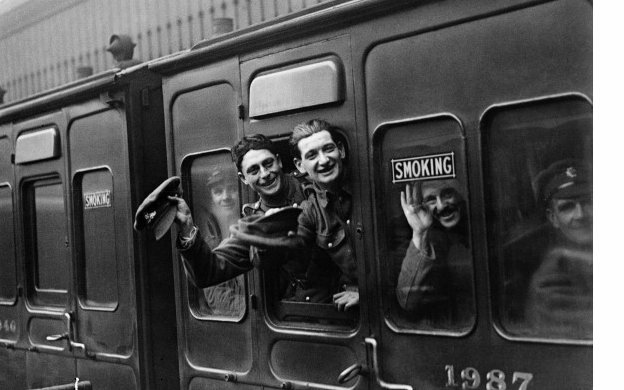 Realising trains would be important for moving troops and supplies, the War Office took over the whole network during the war. 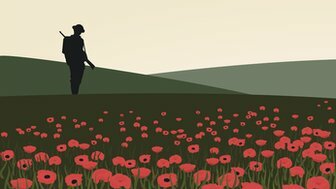 Within a few months, almost 100,000 railway workers had gone to fight in the trenches. 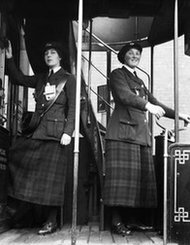 Women were recruited to do most of their jobs, but some men stayed as drivers and firemen. Travelling around town by tram was very popular. Powered by an overhead power cable, trams could travel along busy streets and stop in useful places. They had a driver and a conductor. The conductor used a bell to tell the driver when everyone was safely on board and it was safe to start driving. 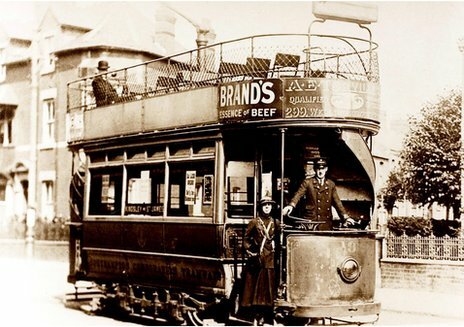 Although trams looked like buses, they could only drive along tracks like trains. The tramlines could cause problems for cyclists. The metal tracks were laid into spaces cut into the ground and bicycle wheels sometimes got stuck beside the tracks.